OSAKA – Japan as a whole may be attracting record numbers of foreign tourists, but a report by McKinsey & Co. indicates that the four major historical regions of Nara, Kamakura, Nikko and Ise Shrine are almost unknown among Western tourists. The consultancy’s Japan office surveyed over 3,000 visitors from Western countries on how aware they were of 36 tourist attractions, most of which are listed in major travel guides that cater to both wealthy older Western tourists and their younger counterparts who travel more cheaply. 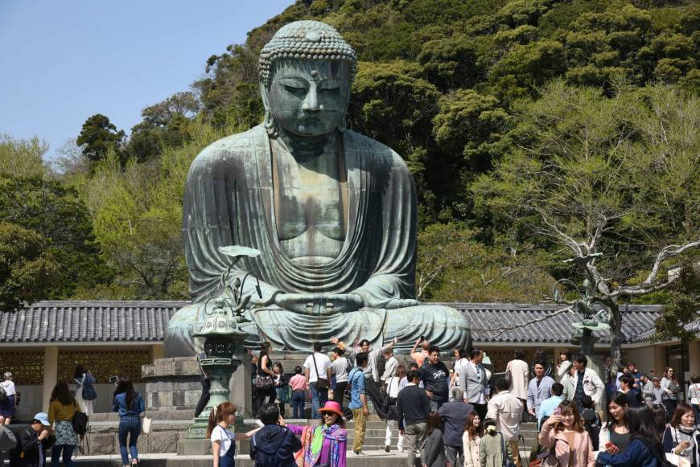 Only 9 percent of those surveyed said they were aware of Kamakura’s attractions in Kanagawa Prefecture, such as the Great Buddha, while 7 percent said they knew of Nara Prefecture’s attractions like Todaiji Temple. Five percent said they had heard of tourism assets in Nikko, Tochigi Prefecture, such as Toshogu Shrine, and only 3 percent had heard of Mie Prefecture’s assets like Ise Shrine. However, when those surveyed were given explanations on the attractions in the four areas, 42 percent then said they found Kamakura attractive and worth visiting, while 38 percent replied the same for Nara, 36 percent for Nikko and 34 percent for Ise Shrine. “Many of the sites that Japan residents consider to be ‘major destinations’ are virtually unknown to foreign travelers. These results suggest that Japan’s major tourism assets have high potential to draw more Western tourists to Japan, and that a major obstacle is lack of awareness among tourists in the Western market,” McKinsey said in its report on the findings. Last year, the city of Nara drew about 975,000 foreign visitors, a nearly 55 percent increase over 2014. Nara’s proximity to Osaka and Kyoto, roughly an hour by the fastest trains, and a lack of modern international hotels has traditionally meant most foreign tourists came only on day trips. But new hotels are opening up and 227,000 foreign tourists spent at least one night there in 2015, double the number from the previous year. Nikko, meanwhile, drew about 181,000 international tourists last year, 35,000 more than the year before. Ise, which hosted this year’s Group of Seven summit, reported more than double the number of foreign visitors to the city’s tourist centers compared with 2014. Officials in Kamakura reported almost 23 million visitors, including day-trippers, in 2015.